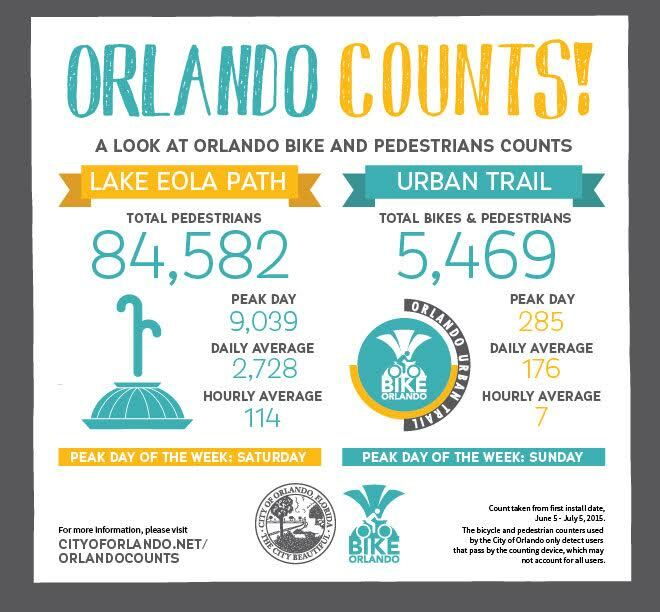 Tens of thousands of people are using Orlando’s ped and bike trails. From July 9 to August 9, 36,798 walkers and bikers were counted on Lake Baldwin and Cady Way trails in July and August. The City of Orlando is installing pedestrian and bike counters throughout town as part of its initiative to track pedestrian and cyclists’ habits. The city first tracked the Lake Eola Path and Urban Trail in June-July – which counted a total of 90,051 people – and this time around tracked Lake Baldwin and Cady Way Trail. So why’s this so important – well, it sets a baseline. The data gathered from the program will be used to understand existing transportation corridors, trails, parks and provides a more comprehensive look at the city’s transportation model.